When using iTunes on Mac/PC to update or restore your iPhone/iPad, you might see an error code or alert message, such as iTunes error code 39. Don’t worry too much. You can easily get rid of this predicament with 5 ways we concluded. 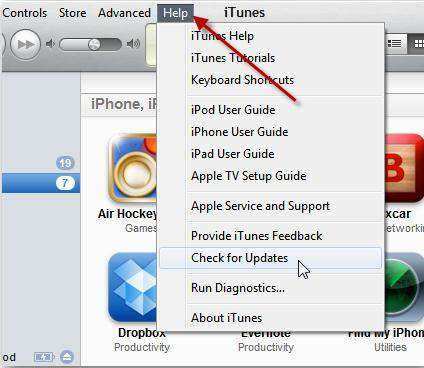 Learn how to fix iTunes error 39 below. What Causes iTunes Error Message 39? So far as I can tell, in most cases iTunes Error -39 occurs when you try to sync you iOS devices with iTunes on Mac/PC, or when deleting photos and videos from iPhone/iPad. Other situations may also lead to the error report, and here you can find step by step guides on fixing iTunes sync error 39 in both PC and Mac. Tenorshare TunesCare is a totally free iTunes error repair tool to fix iTunes sync error, iTunes not working, update error, installation error, and other 100+ iTunes related errors. Within 1-click and all iTunes problems, as well as error code 39, can be perfectly settled. Step 1: Launch Tenorshare TunesCare and then connect your iPhone/iPad with computer. Step 2: Click “Fix iTunes Sync Problems” to repair crashed iTunes Library if you have encountered iTunes error 39 when syncing iPhone/iPad. Step 3: Should your iTunes still performs abnormally, switch to “Fix All iTunes Issues” under. You will be prompted with below interface. Click “Repair iTunes” to fix it immediately. Step 4: Tenorshare TunesCare will automatically download repair drivers to fix iTunes. The whole process takes less than 2 minutes. When done, try to sync up with iTunes again. Step 1: Launch iTunes on PC and sync your iOS devices. Better to perform it manually rather than automatically in order to restore iTunes error (-39) properly. Step 2: Navigate to Pictures option, uncheck all photos shown on the panel. You will be prompted by iTunes whether to delete all photos from your iPhone. Click “OK” to continue. Step 3: Sync iPhone again by click “Sync” button on the bottom of the interface. Switch to Photos tab to see whether photos have been successfully deleted. Step 4: Go to Pictures again to check all photos. Re-sync your iPhone/iPad and you won’t be bothered by unknown error 39 anymore. This error is associated with your iPhoto Library. If you sync from Photos, iPhoto, or Aperture library, try to find or remove the Photo Cache folders. Step 1: Go to Username/Pictures/iPhoto Library and right click to show package contents. Step 2: Simply delete the folder iPhone (iPad) Photo Cache. Step 3: Now try to connect your iPhone to computer and sync up with iTunes. There you go. You will find unknown occurred error 39 has been fixed. If you can’t open iTunes, download contents, sync your devices, the security software might be the cause. Step 1: Check host file to make sure it won’t block iTunes from communicating with Apple’s servers. Step 2: Test your security software. If you have more than one type of security software installed, you might experience some iTunes performance issues. It might require you to temporarily remove your security software to prevent unknown iTunes error codes. Try to update your PC/Mac if you can’t still solve iTunes error 39. Open the App Store on your Mac OS X devices, and then switch to Updates in the toolbar. If updates are available, click the Update buttons to download and install them. Go to Start button > All Programs > Windows Update. Hope these methods can help you to successfully repair iTunes error code 39. If you also see other iTunes error numbers, please refer to below to find more error messages and solutions. Understand common iTunes Errors & How to Fix now.